Periodicals, microforms, and Special Collections materials do not circulate. Renewals Library materials may be renewed once remotely, either online via the My Account page in the library catalog or by phone (309) 341-7246. Please bring materials to the library circulation desk for subsequent renewals. 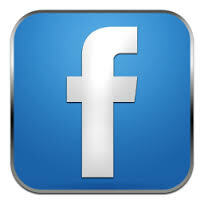 Renewals for materials borrowed via I-Share may be requested through the My Account page in the library catalog. Renewal of I-Share material is at the discretion of the lending library. To renew I-Share items, log into your library account (see instructions above and here). Select the items to renew, click Renew Selected Items button, and the due date will either immediately update or you will immediately be notified that the item cannot be renewed. Faculty and staff are allowed six renewals. Students are allowed three renewals. Renewals of items borrowed via the ILLiad interlibrary loan system should be made online via your ILLiad account. Renewal of interlibrary loan material is at the discretion of the lending library. More information on how to renew items in ILLiad is available on the ILLiad help page. Replacement charges for lost materials are determined on a case by case basis. Borrowing privileges for Knox Library patrons will be suspended when certain policy limits are reached. A suspension of I-Share borrowing (and request) privileges will also result when a patron reaches limits on I-Share policies. All questions about borrowing privileges can be addressed to libcirc@knox.edu. Book drop near the back entrance to Seymour Library. All materials should be returned to the Circulation desk where the item was originally checked out. 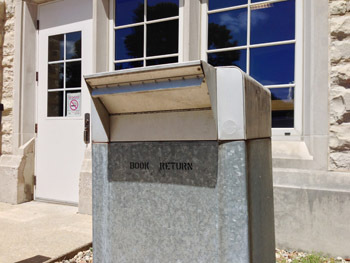 If the library is closed, materials may be deposited in the book drop behind Seymour Library, or through the front door of the Science & Math Center Library. Materials should not be placed in the book drop during hours the library is open. Reserves, because of their time-sensitive nature, should be returned in person to the Circulation desk of the respective library, unless the library is closed.